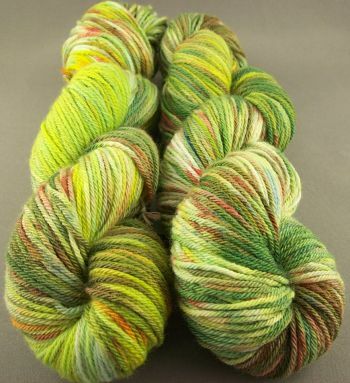 This is a new Base Yarn we are stocking, called JABIRU. Spun from sustainable 19.5 micron Australian merino, sourced from non-mulsed sheep from Austraian farms. DK/8ply yarn (11 WPI), with 233 metres per 100gms.